Assembly for the Jet 100 took a little longer than some other models that have some parts pre-assembled. Having said that it only required a small amount of additional time to screw on the base legs and fix together the main feedback console. I would image it would take the average person around 1 – 2 hours. Some of the feedback is that it is taking longer if you get stuck at the more fiddly parts. Once constructed you can instantly tell that this is a high quality piece of equipment, it has a thick neck starting from the base until the feedback console. Foot rests feel nice and sturdy and the handles are of a high quality foam unlike some of the more budget cross trainers. A good start. After plugging in the Jet 100 and turning on the power I was greeted with an impressive LCD screen featuring a blue background with white numbers and a green program indicator. More on this a little later. Starting with the mechanics of the Jet 100, it has very wide stability legs. This gives it a solid feeling while in use unlike budget cross trainers that may have a slight side to side rocking motion. Being a heavy cross trainer at around 55kgs also helps with stability and general feel while in motion. 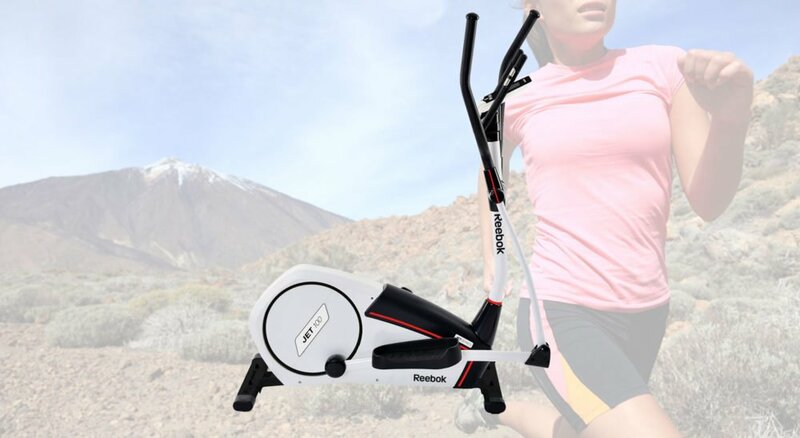 The Jet 100 Cross trainers has a generous 14 inch stride length and although this is slightly less than the ZR8 with 15 inches you would find it difficult to tell the difference. 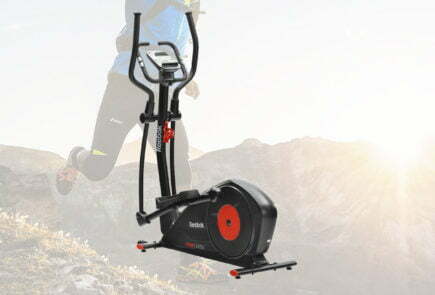 The 9kg fly wheel gives the Jet 100 very fluid motion while in use. 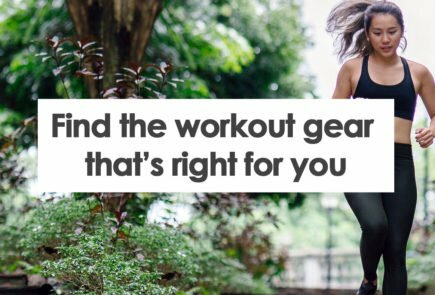 The additional weight that you lack in more budget cross trainers means that your workout will give you that gym professional feeling. The hand grips on the Jet 100 are of a very high quality and although the static bars feel a little more plastic it’s the bigger fluid movement grips you will use most often. Both I and my partner had no issues with their quality during testing. 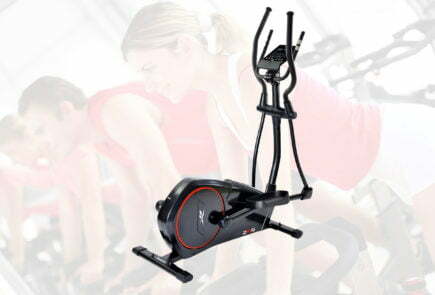 The Jet 100 comes with 32 levels of electronic tension control, even for gym enthusiasts this is more than enough to ensure that you have the right level of tension required to work up a sweat. We also tested it while watching TV and can confirm that it is very quiet when in operation. Adding a few extra bars of volume to your normal volume levels means that you can watch your favourite programs without too much disturbance from background noise. One of the only down sides to the Jet 100 is that is suffers from issues common to other Reebok equipment which is a lack of a water bottle holder. This may only be a minor gripe but it is annoying having to stop your workout to take on board fluids. Moving onto the feedback unit and as mentioned above, Reebok have done a great job of making sure that it’s simple, clear and responsive. Without having to read the manual I was quickly up and running with the basics including adjusting the tension control on the fly and selecting a pre-set workout program. The 19 user programmes offered are made clear by the simple to understand diagrams located around the LCD screen itself. Even programmes that you may be unfamiliar with are made easier to understand with this setup and I was soon going through a 30 minute hill climb. A common features on most gym equipment is a pulse sensor, Reebok have done a very good job of integration and simply switching to hold onto the static bars will give you a reading. The bars also double up as a nice way of working your lower body harder during a workout. 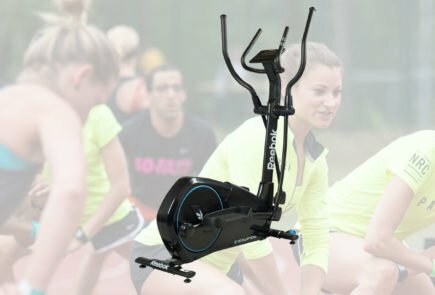 Some users are saying that during use they are hearing a squeaking noise, this is a common complaint with gym equipment manufacturers. There is a chance that your item has been in storage for a period of time that has dried out some of the oil used during manufacture. A simple spray with WD40 or with lubricant provided will fix this 99/100 times. I have to admit that I was pleasantly surprised with the high quality from the Jet 100s right the way through from its design through to performance. Looking at a straight comparison to the ZR8, ZR10 there isn’t too much to separate them. 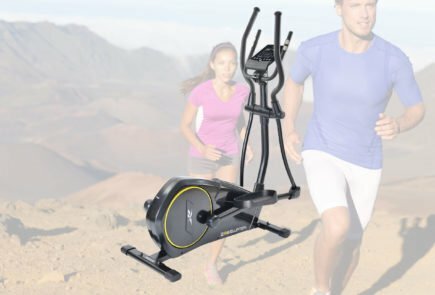 The Jet 100s may be fractionally smaller and have less of a stride length, but only a gym enthusiast would even be able to tell the difference. 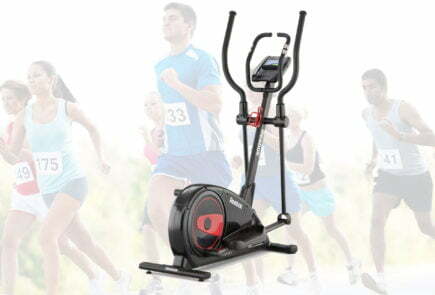 For the price that I paid for the Jet 100s cross trainer on special offer I was more than happy. It’s a close call between a Reebok ZR and the JET 100, I still favour the Reebok ZR range while my partner found the JET 100s to be the overall better experience. One point is clear however, for what I believe is a little extra in price between a low/mid- range cross trainer and the Jet 100, the difference is simply incredible. The Reebok Jet 100 cross trainer is up against some tough competition even from its own brand including the ZR8,ZR9 and ZR10. So how how does it compare? Lets find out.